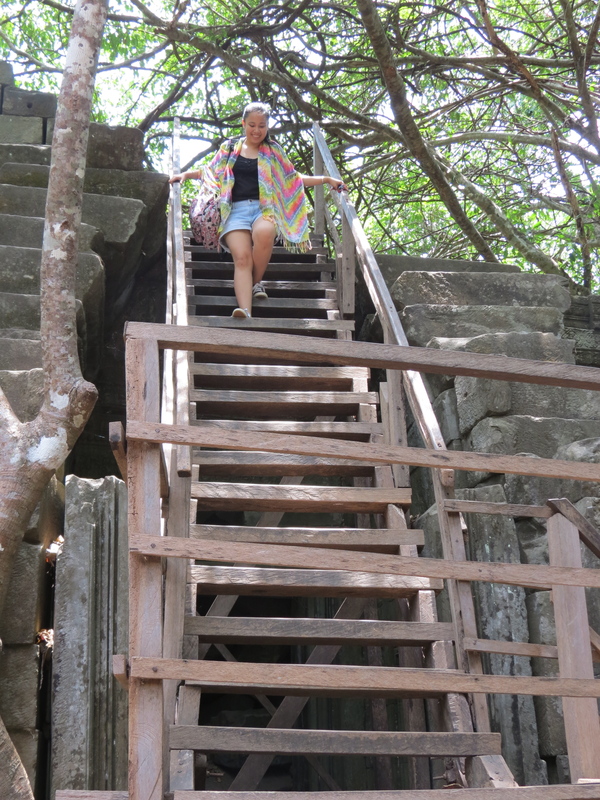 Is Beng Mealea A Must? 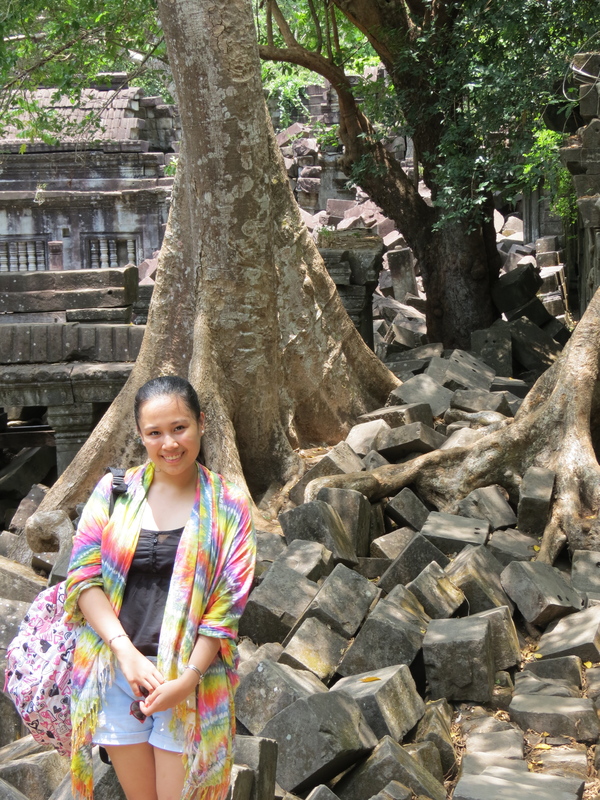 After taking a few weeks for my cousin and I to finalize our itinerary prior to the trip, we decided to spend extra on a trip to one of the farther temples, considering we read nothing but stellar reviews about it. 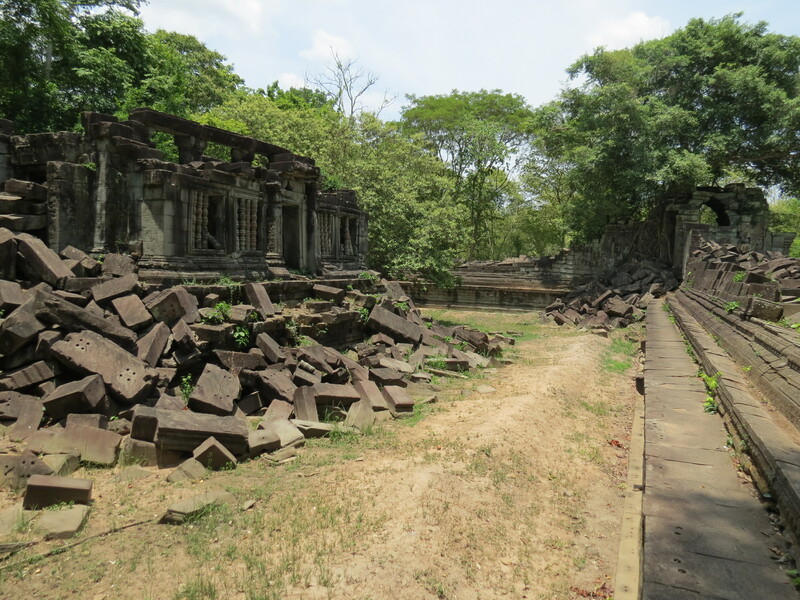 The day before was spent on the grounds of different temples within the Angkor Complex and each temple had been built and restored beautifully. 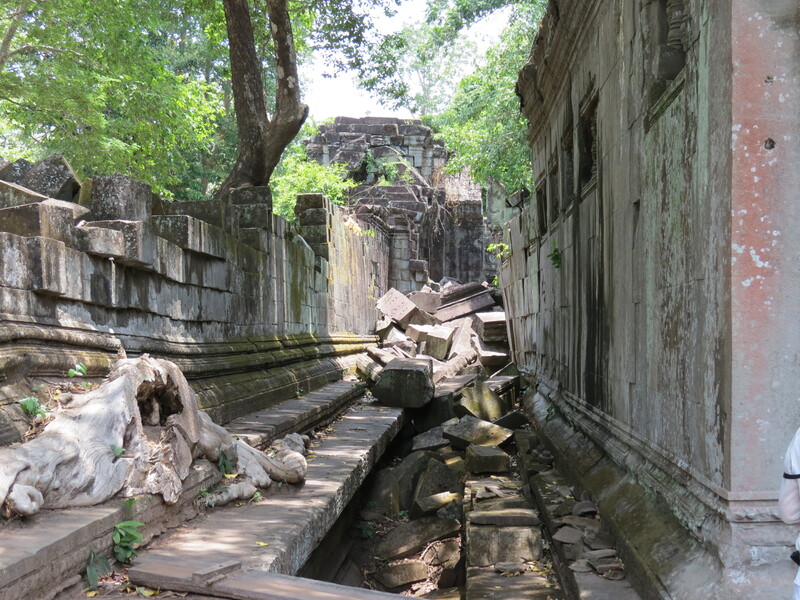 However, this temple, better known as the Indiana Jones Temple had yet to be restored, which is why it had its own kind of beauty apart from the other temples we’d seen prior. 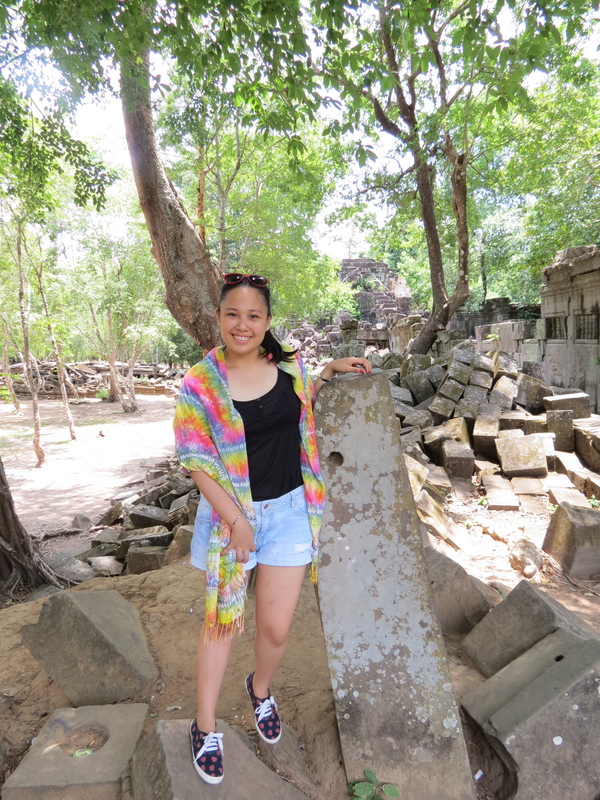 From the town, we drove for about almost an hour to reach Beng Mealea and as soon as we walked through the entrance road, we were stunned. 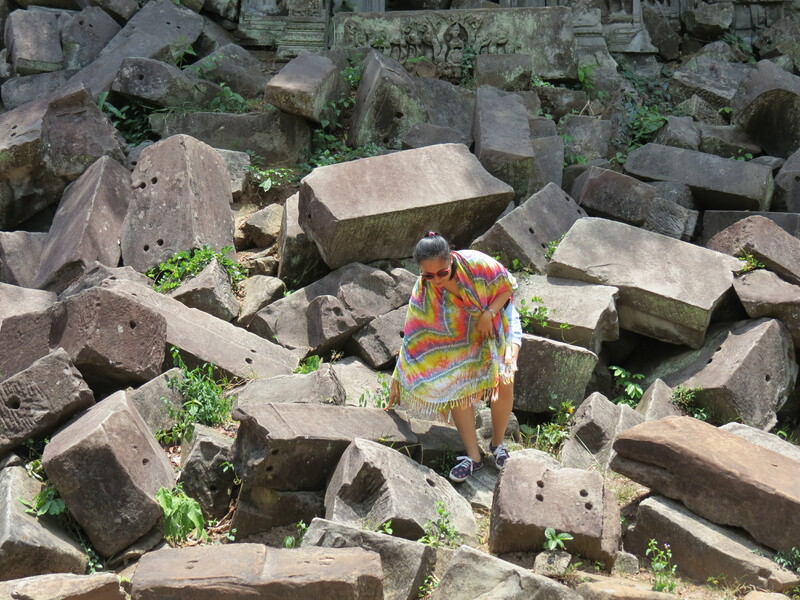 Welcomed by huge stones that had collapsed through time, all I could do was imagine how it looked back in the day. 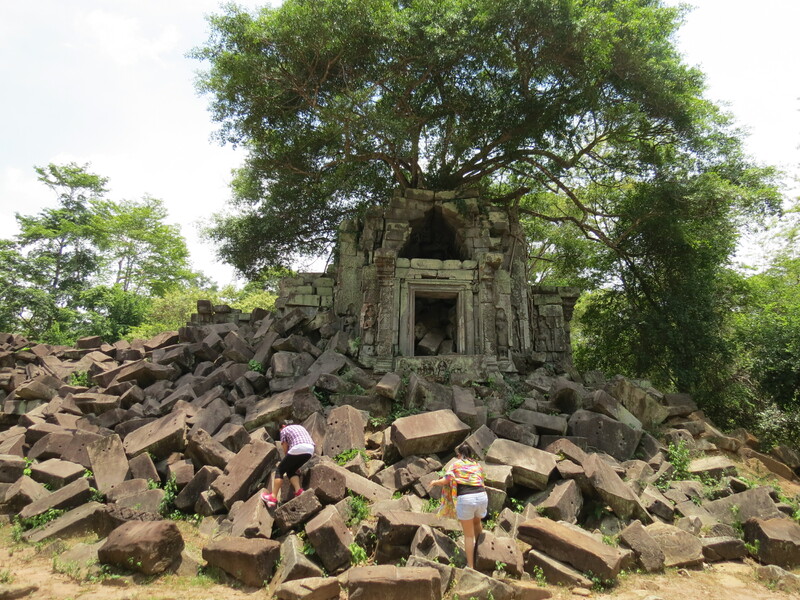 Throughout the temple grounds, you’d find piles of enormous stones on top of one another, by which you can climb to give you the adrenaline rush that every traveler longs for. Taking a different route apart from the other tourists, we came across these three cute Cambodian kids, who said nothing but “One, choo, chree” while we were taking photos with them and of them. 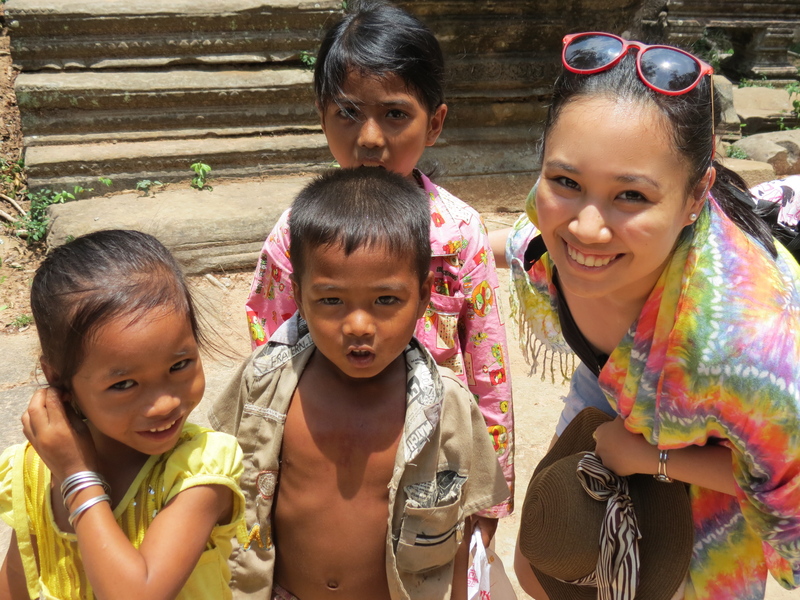 As suggested by our tour guide, we gave them candies in exchange. 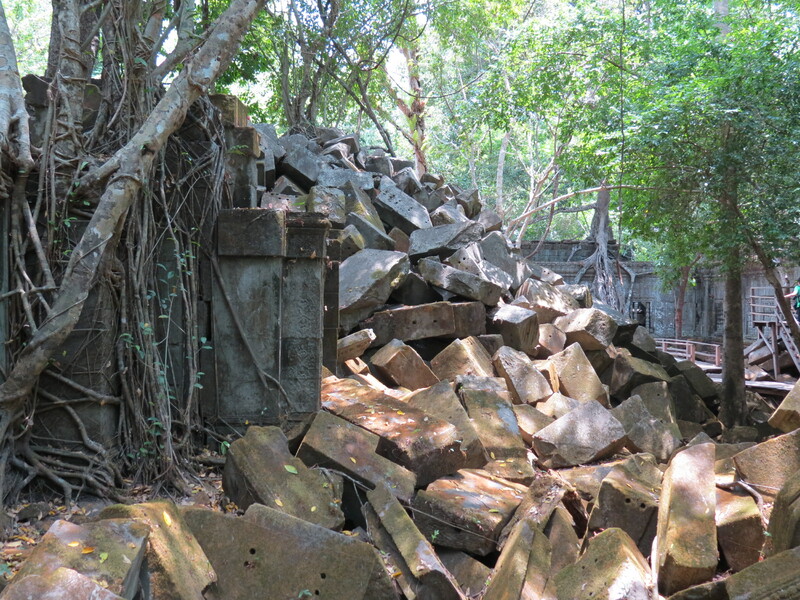 The history of Beng Mealea is quite mysterious, having been estimated that it was built during the reign of King Suryavarman II in the early 12th century. 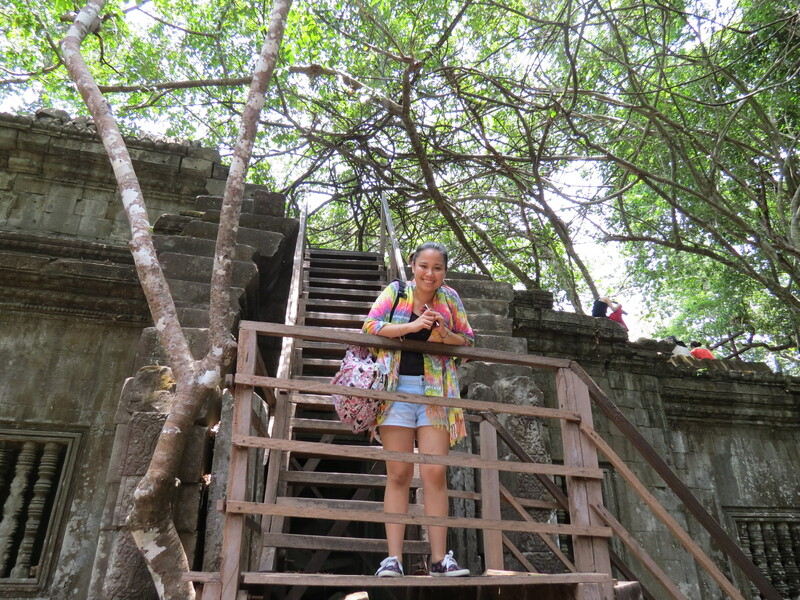 Walking on the ledge, climbing up rocks, scouting through dark corridors, trekking through what was then the roof of the temple; this is where we knew we were getting nothing short of the true Cambodian Temple experience. When we reached the end of route we’d taken, I couldn’t help but feel attached. 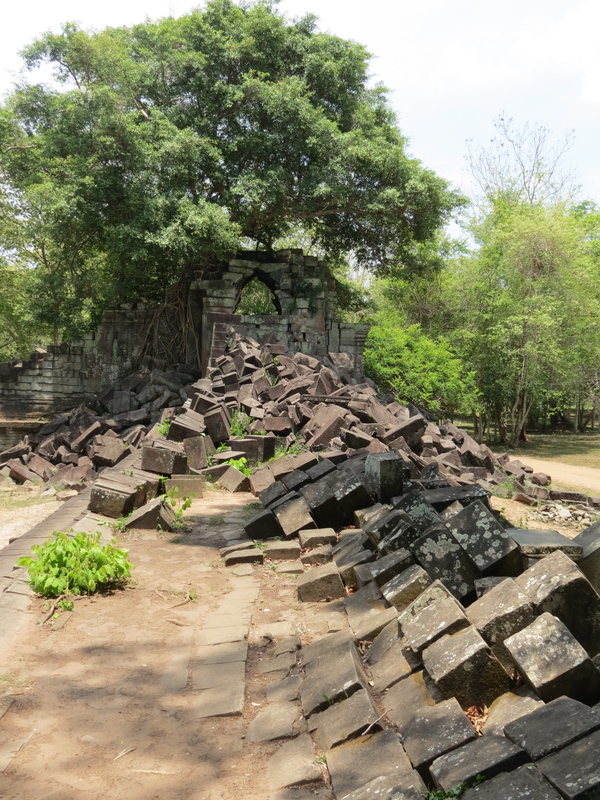 Not only was it the last temple we had planned to visit on our trip to Cambodia, but knowing that sooner or later, this temple will be restored like the others had been, when enough funds are raised, it made me feel as if this dilapidated form of beauty had captivated me in ways unimaginable. 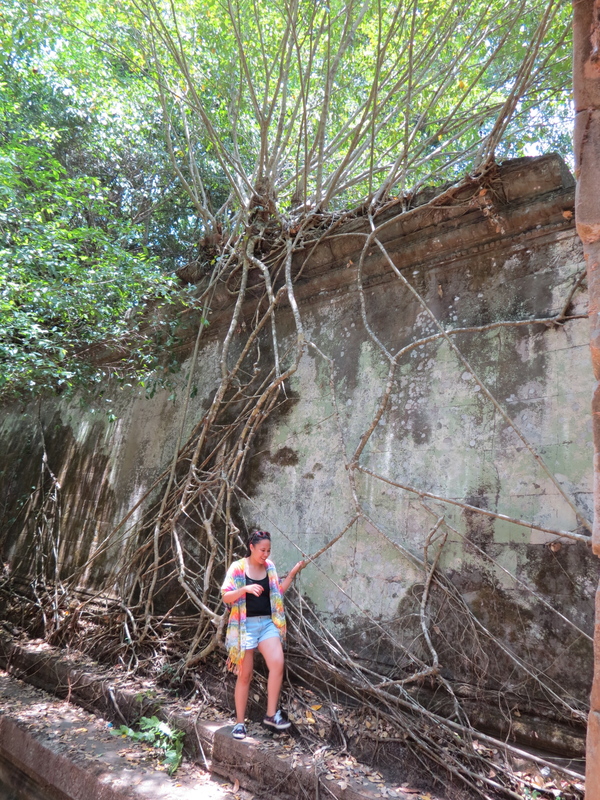 It somehow satisfied my thirst to explore and at the same time, encouraged me to take on new adventures. 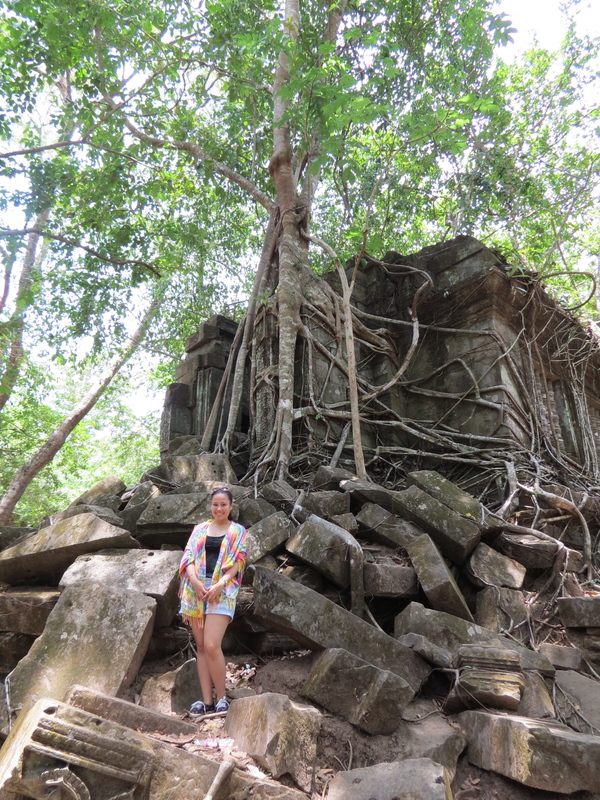 Beng Mealea is a temple whose beauty lies within the scattered stones, huge tree roots finding its way through walls, doorways that were once used by the royals of ancient Cambodia, its mysterious history and in the kind of solace one can only find as you walk through the temple grounds. Often, when one thing is broken or damaged, it must be fixed. 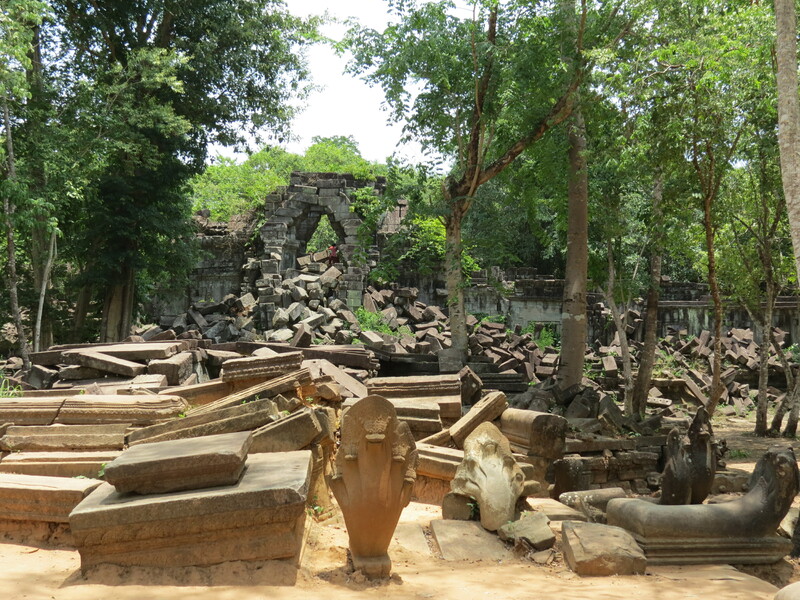 Beng Mealea is completely unrestored, but only in this temple did I realize that there can always be beauty in ruins. 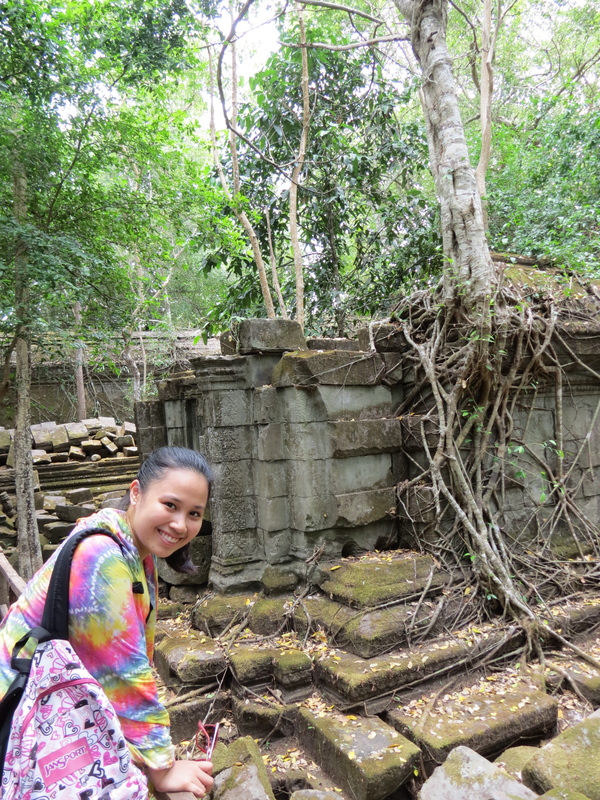 That being said, Beng Mealea is a definite must when visiting Cambodia’s golden city.